Before the arrival of the internet, tv, moving pictures, the shadow puppets are the closest to an animated reality. 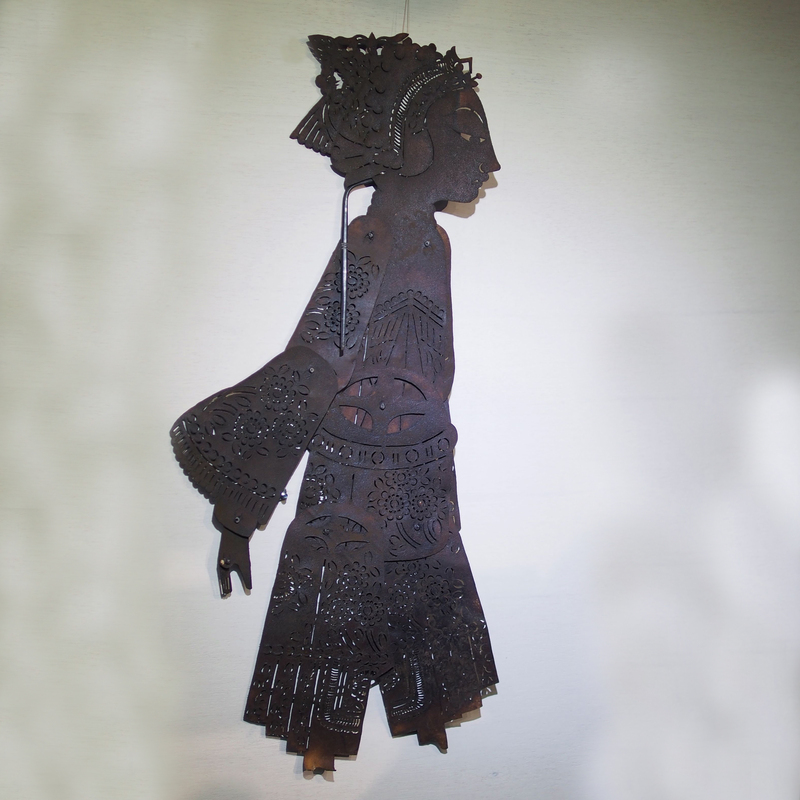 It has been said that concept of shadow puppet came some 2000 years ago in the Han dynasty. The Han emperor was extremely depressed after the death of the Empress and was unable to the ruling of the country. Advisor Li who has been devoted to the Emperor was deeply concerned, one afternoon in the street he saw a kid playing with a doll, it was the movement of the shadow that had captivated him. Li used cotton to made the features of the Empress, supported the arms and legs on rod, with a candle behind, a screen was placed in front of the mannequin. The Emperor came into the tent one evening and saw his beloved Empress once again. This shadow puppet is a Xiao Sheng character, playing roles that are young handsome, well learnt scholar and usually matched by a beautiful diva Dan role. Click here to see more of our shadow puppets. 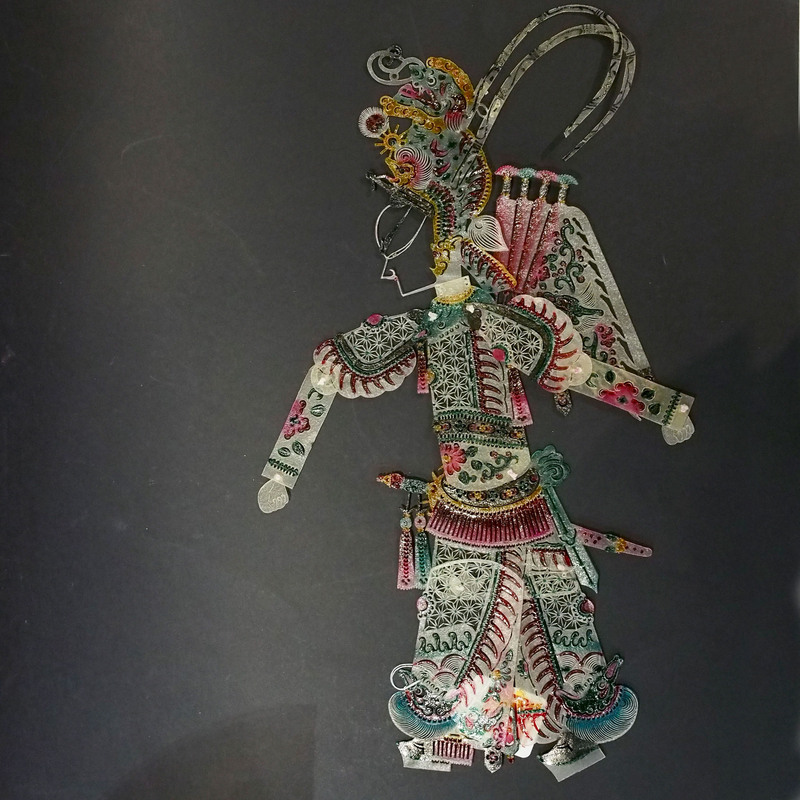 This is a Nang Sbek Toch shadow puppet, the smaller of the 2 types of shadow puppet in Cambodia. Nang Sbek Toch means “theatre of small hides”, these puppets are made out of cow hides which is cleaned, treated, tanned before it is ready for use. A paper template is designed, portion of the hides is then cut out for use; patterns of lines are chiseled out enhance the feature of the puppet. Outline of the puppet are then stained for appearance of the puppet itself, as unlike the Chinese shadow puppet that are thin and translucent, the colouring of the Cambodian puppet will not have an impact on the shadow itself. Here is a beautiful photo documentation. See our other shadow puppets. 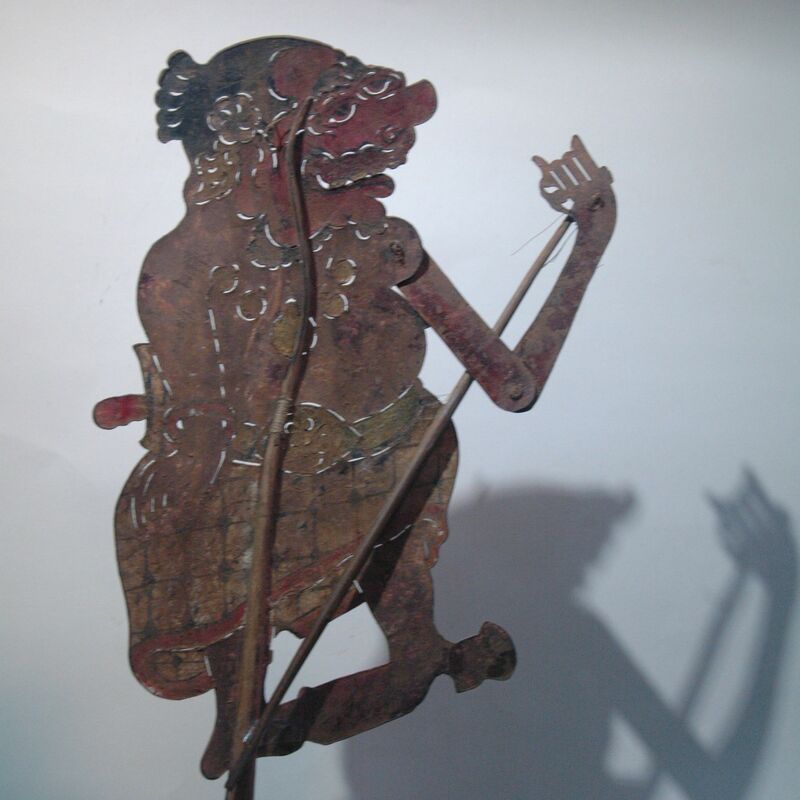 This shadow puppet came from a set we acquire from Indonesia, curiously the contained Indonesian characters as well as Chinese ones. Like this particular puppet, the head gear, the costume, the bounded feet, the facial features all points to a Chinese diva. I wonder if the set of shadow puppets were commissioned by a Chinese immigrant in Indonesia who is a bit home sick for Chinese shadow puppet. 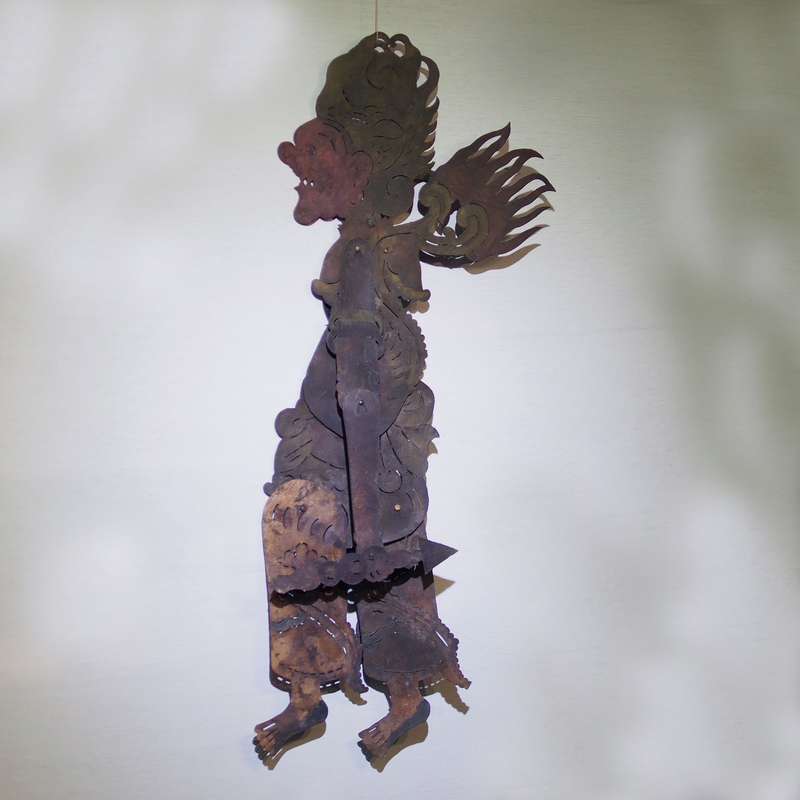 It became a fusion of the two, just as today’s wayang kilt some of which has departed from the traditional story of the Ramayana to include everyday events such as karaoke. A warrior of the Hua county in the Shaan Xi province., it is said that Chinese shadow puppetry originated from this county. Shadow puppet theater started its form as a Taoist court ceremony where illusion, shadows, dreams and a bit of imagination formed the idea of after death for the ancient emperor. As time goes by, the religious ceremony took a form as entertainment for the emperor and thus shadow puppet theatre began. The fashion from the courts later was copied by the nobles and then the wealthy, and to the masses. 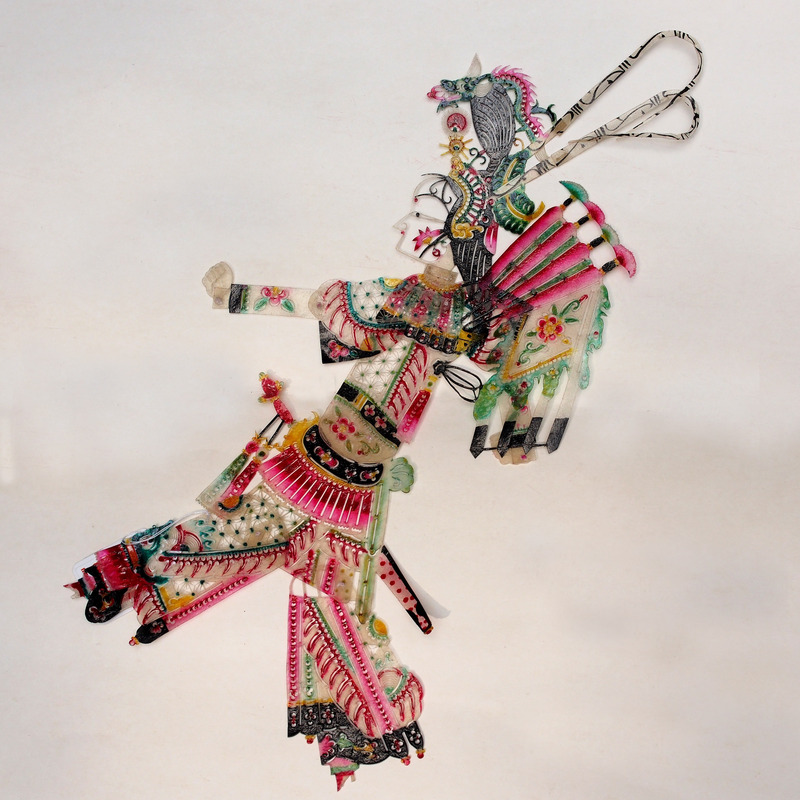 The Hua school of shadow puppet are small and very finely made, it is believed that the tradition came from entertaining small party of the court. 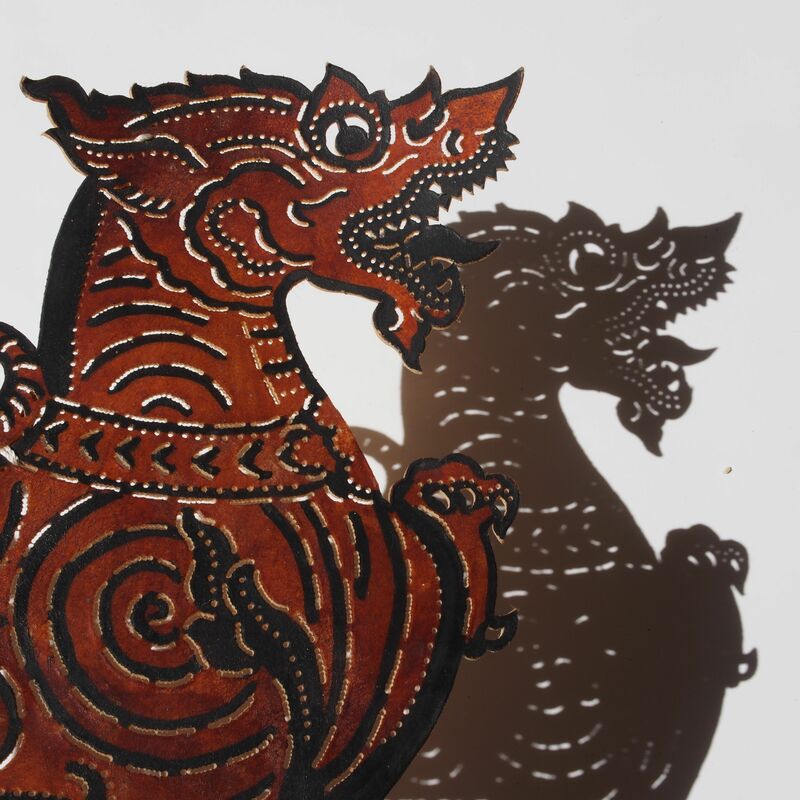 There are broadly 2 types of shadow puppets in Cambodia, Sbek Thom and Sbek Toch. Sbek Thom are large shadow puppets, the leather part can get up to 1.5-2m tall and 1.5m wide. The puppeteers for Sbek Thom are part of the performance and are not in disguised, they dances in front and behind of the screen; the epic Ramayana is performed. 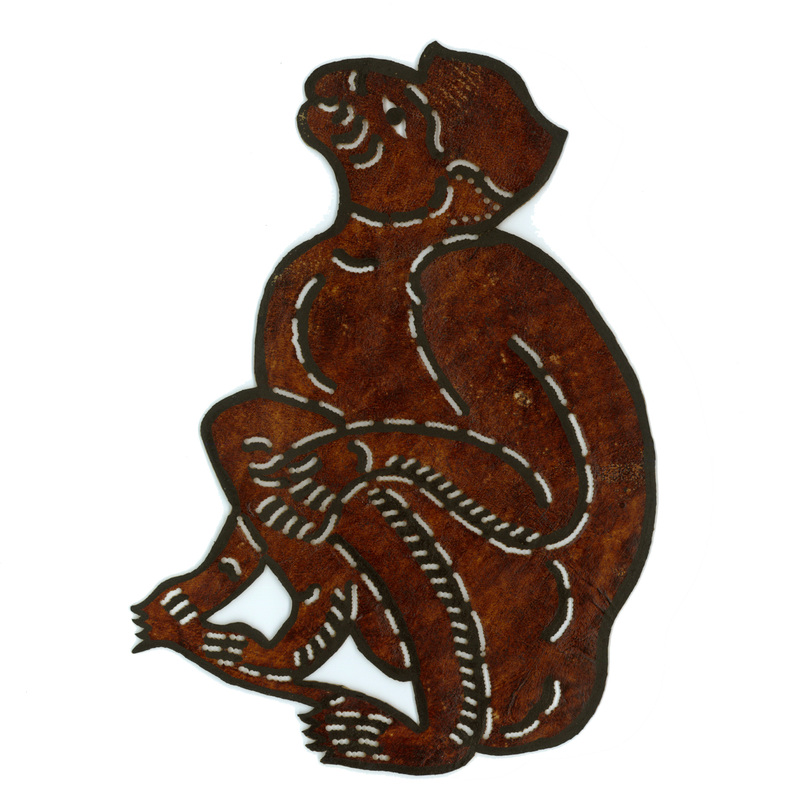 This shadow puppet belongs to the Sbek Toch genres, they are smaller and usually tell the folktales based on everyday life (unlike Sbek Thom which has a religious significant). This shadow puppet is Tualen, the father of Merdah, they are both servants of Rama. Tualen used to be a god but he was punished for a mistake he made and was send down from heaven to be a human with black skin. Being a god, Tualen is wise and kind. The Balinese believe that by giving their baby holy water of Tualen, their child will be wise like Tualen. 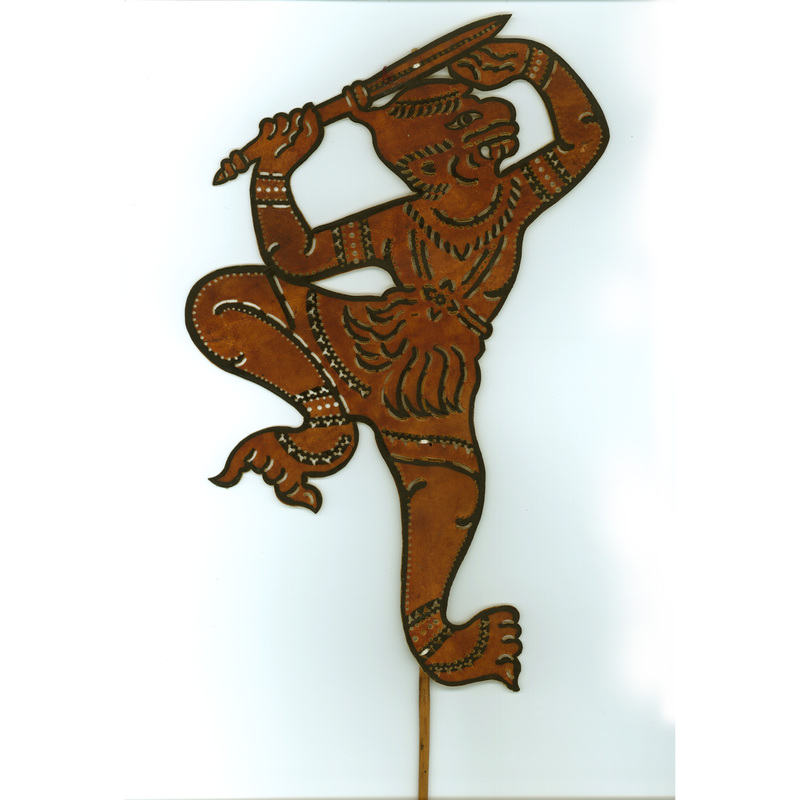 This is a shadow puppet used for the show Reamker which was based on the Sanskrit’s Ramayana epic. The Reamker is a popular legend for the Khmer people, loved by the common people and the kings a like. 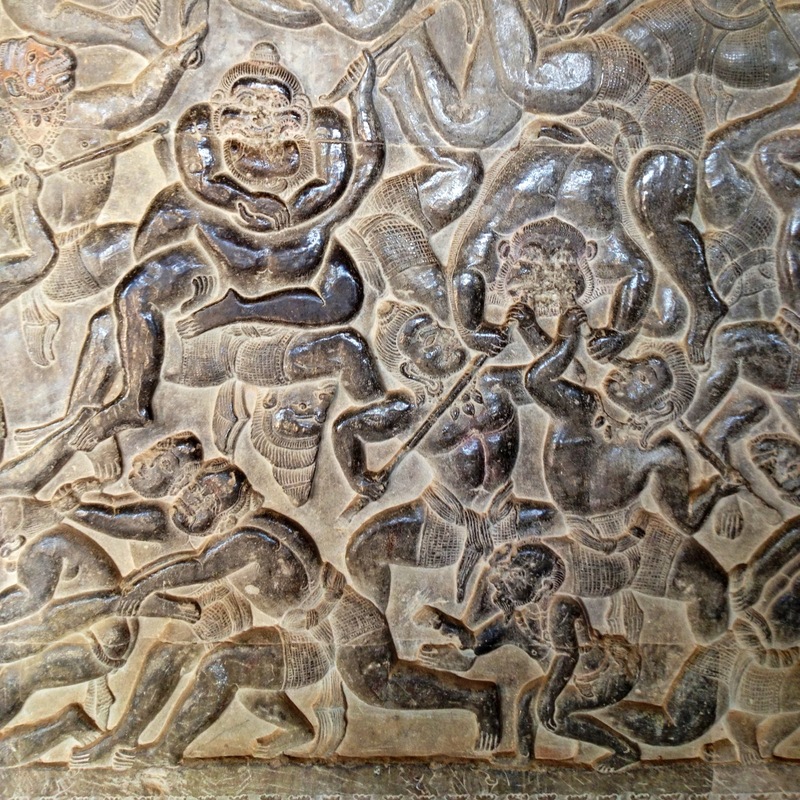 The story is carved into the walls in Angkor Wat and in Banteay Srei and over the Khmer New Year (13-16 April) and the King’s birthday (13-15 May) when the shadow puppet show will be performed. The story of Reamker is about the balance of good and evil in the world; Prince Rama was sent into exile by one of the queen mother who has her eye on the throne for her son, Rama was joined by his wife Sita and his brother Lakshmana. In the forest the female rakshasa Surphanakha tried to seduce the 2 brothers, Lakshmana being annoyed by Surphanakha cut off her ear and nose, this angered the demon who went to ask her brother Ravana to help her revenge. Ravana (the Lord of island Lanka) was attracted by the beauty of Sita kidnapped her. Rama and Lakshmana striked a deal with the monkey king Sugriva, they helped Sugriva to regain his kingdom from his brother Vali while Sugriva send the monkey warriors lead by Hanuman to help with their search of Sita. Hanuman start building a stone bridge to cross to Lanka but found out that mermaids were secretly taking away the stones, he decide to capture the mermaid princess Neang Machha but instead they fell madly in love with each other. The bridge was completed, Rama and Ravana started a battle, wiht Hanuman’s help Rama won, rescued Sita and got the throne. 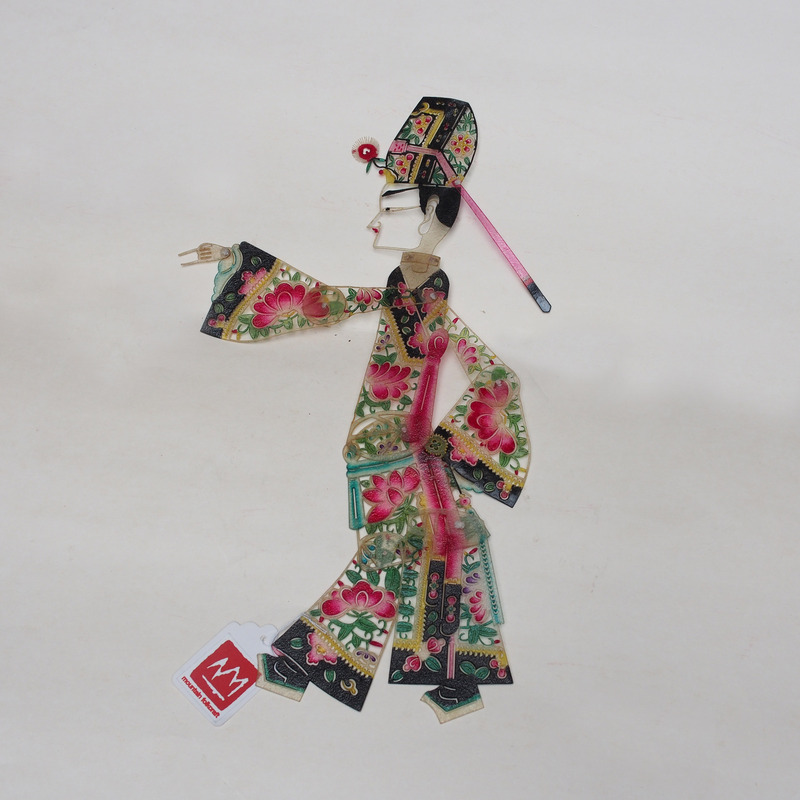 This is a shadow puppet from the province of Luo Shan. 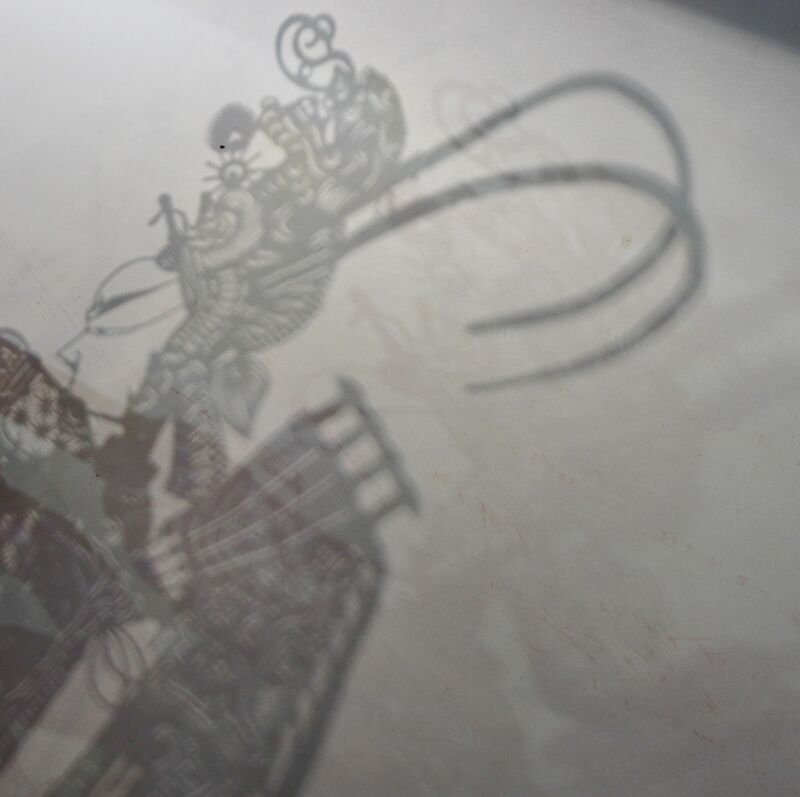 The written history of shadow puppet in China dated back over 1000 years and spread all over the country, slowly each region has their own characteristic, in terms of the puppet, its control and of course the singing (as each area has a different dialect). 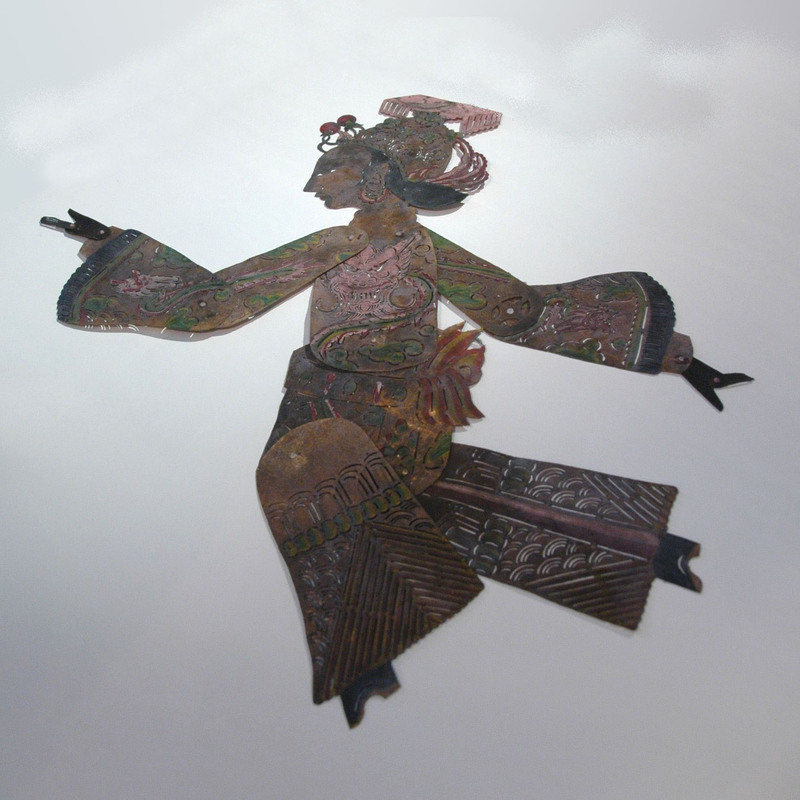 450 year ago in Ming dynasty shadow puppet theatre arrived Luo Shan from Luan Zhou. Unlike the other region that uses donkey skin, Luo Shan’s puppets are with buffalo skin. Each puppet are controlled by 3 bamboo rods and cast over a white cloth screen of 1.8x1m. The puppet theatre group would consist of 8 people (3 puppeteers), the puppet “cast” are huge (300 odd heads to match with 80 odd bodies), apart from characters there are also sets of mountain, forest, vehicles, animals, furniture, etc!